Finding an appropriate and affordable venue is often the most difficult part of organising any public event and unfortunately, this can be even harder if the meeting or conference is related to protest or activism. Venue managers may become nervous of their venue becoming the focus on an anti-fracking group, or that they may attract the attention of the police. Booking without complete openness about the purpose of your event is a legitimate reason for the venue to cancel if leaned on by the police. It may therefore help to provide reassurance by explaining exactly what the event you are holding is about, the numbers of people who will be attending and what steps you plan to take to ensure any conditions are met. This could include arranging your own security or an offer to pay a deposit. There have been a number of occasions when police have approached the venues hosting political or protest planning meetings, to express concerns or to ask for information – such as the name of the person booking the rooms. In some cases, this sudden interest by the police has resulted in venue managers pulling out of bookings, sometimes at the last minute. For example, a ‘mini-peace festival’ planned in 2014 for Bridgend in South Wales was abandoned when the pub hosting the event withdrew support, after police expressed unspecified ‘concerns’ that were never made public. It is also not uncommon for police to approach landowners who have agreed to allow environmental camps or gatherings on their land, sometimes resulting in the rescinding of permission. It is difficult to avoid this sort of eventuality – but providing reassurance and establishing good communication with venue managers and landowners is always helpful. It is difficult to control attendance at public meetings, but you can ask uniformed officers to leave if there is no obvious reason for them to be there. The law says police must have a genuine belief that a breach of the peace is likely before entering private premises (including a privately hired meeting venue) and if they do not, you can ask officers to leave if you spot them at the meeting. 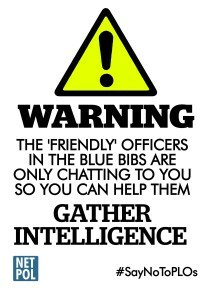 If officers insist they are simply attending to ‘facilitate dialogue’, you can remind them that some people may find their presence at the meeting intimidating and an obstacle to speaking. 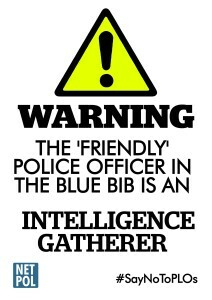 You can also say that if the police want ‘dialogue’ with your campaign, you would prefer it is in writing. In these circumstances, it is better to have a group of campaign members negotiate the police’s departure from the meeting (to avoid identifying an individual as a ‘leader’) and to give them a general campaign email address, not a personal one. Remember that you do not have to give you name. If uniformed intelligence-gathering officers are obviously filming or taking photographs of people arriving for a public meeting, there is nothing to stop you filming or photographing them too. Remember that there is also no law preventing campaigners from covering their faces. Only in limited circumstances where there is a ‘Section 60’ order in place, allowing searches because of incidents involving serious violence, can officers ask you to remove a mask or covering that they believe is intended to conceal your identity. Although a police officer has powers to stop you at any time and ask you what you are doing, why you’re in an area and/or where you’re going, you do not have to answer any questions an officer asks you.`You can ask: “am I detained?”. If the answer is no then you can walk away. You do not have to give your name or address, unless you are the driver of a vehicle (when you may also be asked for and must provide your date of birth). If a police officer detains you so carry out a search, they must say what they are searching for, the reason they want to search you and why they are legally allowed to search you. They must also provide you with their name and police station and a written receipt. Your campaign may want to consider holding an introductory ‘Know Your Rights’ training session for new campaigners. 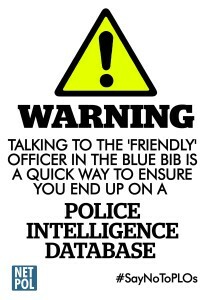 Contact Netpol if this is something you might find helpful. There is a right to freedom of assembly, which means that you can arrange and hold protests and public meetings without asking the police for permission. There are some circumstances, however, in which the law states that you must notify the police of your intentions. If you are organising a rally or other protest at a particular place, there is no legal requirement to tell the police in advance that you are going to do this, or who the organisers are. If you are organising an event such as a walk around the boundary of a fracking site, it is unlikely you will face any consequences for failing to notify the police beforehand. This makes it easier for the police to manage traffic and disruption, and also to impose conditions on the procession if they think fit. Any conditions are usually applied because a senior police officer “reasonably believes” that a march may “result in serious public disorder, serious damage to property or serious disruption to the life of the community”, or lead to “the intimidation of others”. They can include restrictions on the route or prohibiting it from entering a particular public place. It is an offence for organiser of a procession not to give notice to the police, and if convicted they may be fined. There is no requirement to give notice if it is ‘not reasonably practical to do so’, which may include a procession with no advance planning and/or no identifiable organisers. In any case, where the organising group is non-hierarchical and has no identifiable leaders, the police often decide against prosecution for a failure to give notice. 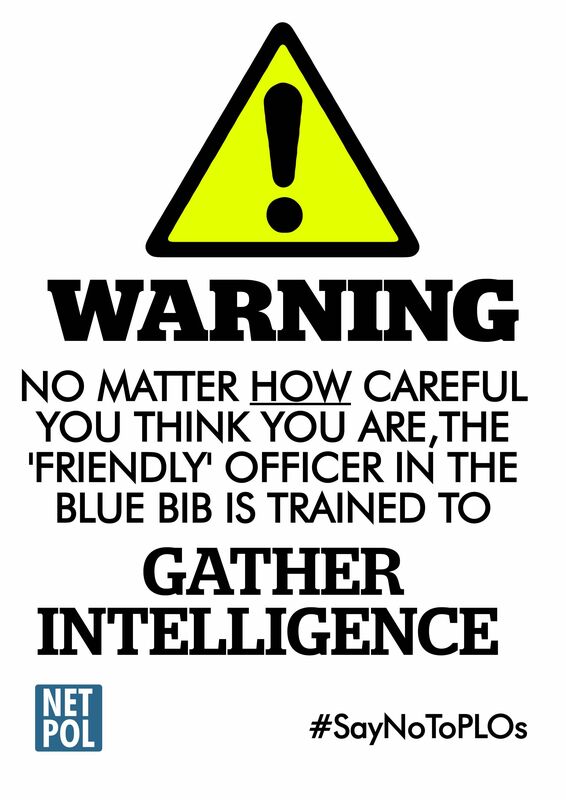 Prior to (and sometimes after) a protest, demonstration or protest gathering, the police may try to make contact with individuals they have identified as involved or as ‘leaders’. This contact may take the form of letters, e-mails or telephone calls, or may include police visits to people’s homes. There is no legal obligation to enter into any dialogue or conversation with the police as a result of these visits. Officers also have no right to enter your home without your permission. Some people have been approached by officers from Special Branch or Counter Terrorism units, who have visiting them at home and asked about their involvement in the anti-fracking movement. One, a journalist, was simply making a film about anti-fracking protests. Others have been told that visits are the result of ‘concern’ about involvement with alleged ‘extremists’. Such visits can be extremely uncomfortable and intimidating for those concerned. You are under no obligation to speak to these officers, you can tell them that you do not want to talk to them and you can ask them to leave and not return. It is quite lawful in such circumstances to record or video these encounters for the purposes of any subsequent complaints. 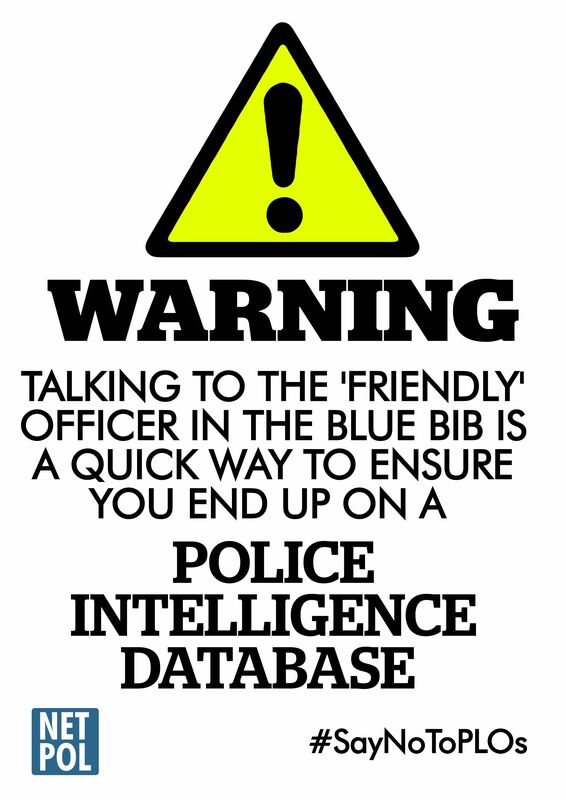 If you receive a visit, please contact Netpol immediately and in confidence. 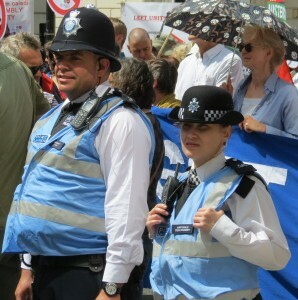 Police Liaison Officers (PLOs, sometimes known as Protest Liaison Officers) have become a regular presence at demonstrations and marches. 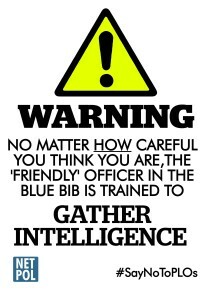 Anti-fracking campaigners may come across them and can recognise PLOs from the distinctive light blue bibs they wear and their eagerness to ‘engage’ with protesters’ through ‘friendly chats’. PLOs insist that their role is simply to “facilitate peaceful protest” but there is growing evidence that they are central to intelligence-gathering at protests. In 2014 an internal review of the policing of anti-fracking protests in Balcombe confirmed that PLOs played “a pivotal role in the operation” by “interacting with the protest organisers” and as a result, “there was intelligence, including open source, to suggest the protest would escalate”. Netpol strongly advises that you do not engage with Police Liaison Officers at any time. Even if you think you can ‘engage’ without giving anything useful away, you are likely to inadvertently divulge information that might seem unimportant to you but can help to build up a profile of your campaign or other activists. 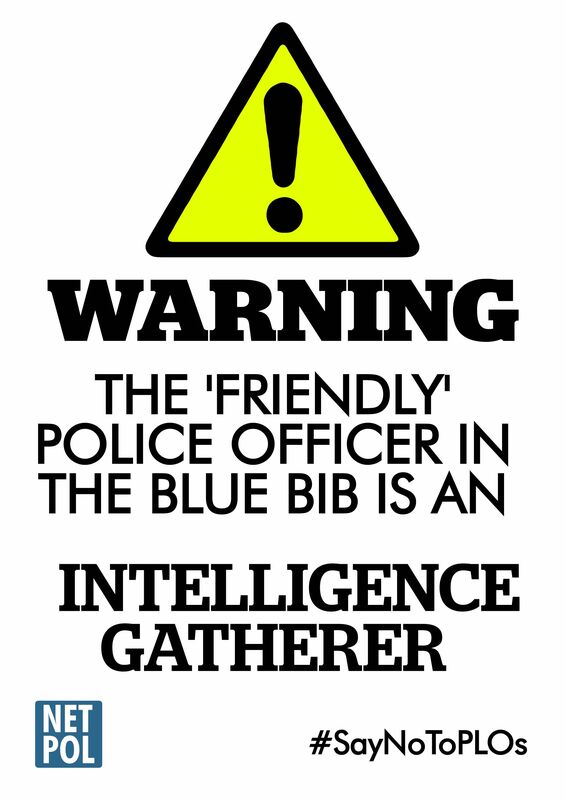 All information gathered – including conversations with PLOs – is shared with an Intelligence ‘Bronze Commander’ and is also likely to end up on a criminal intelligence database. The police may also keep and share information with the National Domestic Extremism and Disorder Intelligence Unit. 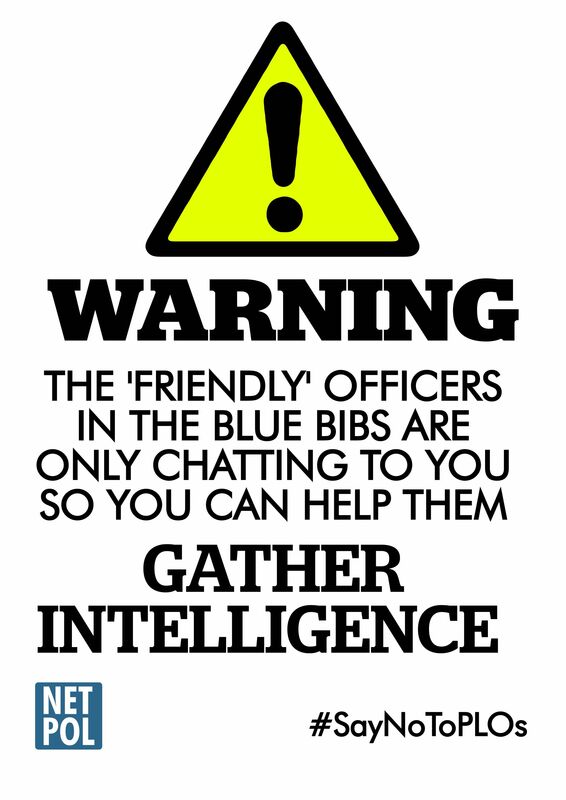 Talk to other campaigners and encourage them to avoid contact with Police Liaison Officers. During a protest, it can become more difficult to ensure this message is conveyed as widely as possible so, beforehand, consider downloading and making our Warning Placards.